Family of mentally ill Israeli held nearly 1.5 years by Hamas goes to Geneva to demand aid to Gaza be conditioned on his release. The family of a mentally ill Israeli man who has been held by Hamas since going missing in September 2014 after crossing into Gaza appealed Monday to the international community to help bring him home. 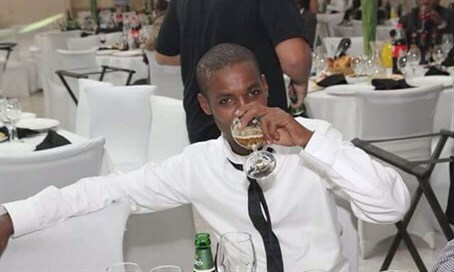 Avraham (Avera) Mengistu, a 29-year-old Ethiopian Jew, was deeply depressed and suffering from mental health problems when he wandered unarmed across the border to Gaza a year and a half ago, they explained. Israel's defense& ministry has determined that Mengistu was captured by Hamas after managing to cross the border, but the terrorist organization holding de facto rule over Gaza has provided no information about his whereabouts or condition. "We are kept in the dark," the man's 30-year-old brother Gashao told AFP during a visit to Geneva, with a representative of Israel's mission to the United Nations serving as translator. His father Ayaline sat next to him, looking anxious and drawn, and his mother Agurnesh sat nearby, weeping quietly. The family, who live in the southern city of Ashkelon near the Gaza border, had traveled to Geneva to meet with diplomats and groups and appeal to them to put pressure on Hamas "to do the right thing," Gashao said. With his parents sitting nearby looking anxious and drawn, Gashao insisted "the international community has influence over Hamas." "They can help this go beyond politics. It is a human rights and a humanitarian issue," he said. "When Hamas is asking for humanitarian assistance, and contributions to the people in Gaza, then the international community should tell them: don't expect us to assist you when you are violating the same rights of the other side." "We are talking about an innocent civilian. He's not a soldier. He was never a soldier," he said. He explained that Avraham, distraught after the death of another brother and hospitalized several times for mental health problems, had been exempt from military service. The family firmly rejected reports that they had previously been angry with the Israeli military's reaction to Avraham's disappearance and had claimed that more effort would have been put into finding him if he were not Ethiopian. Gashao rejected the reports, saying, "the government is doing what it can." Israel does not allow its citizens to enter Gaza given the danger that they will be abducted by Hamas terrorists and used as bargaining chips to demand concessions, including the release of terrorist prisoners. In 2011, Israel released 1,027 jailed terrorists in exchange for soldier Gilad Shalit, who had been abducted and held by Hamas for five years. Such deals have been consistently, and increasingly unpopular in Israel, however, given the high number of released terrorists who return to terror, as well as the injustice of releasing convicted murderers. The current Israeli government has insisted it will not consider any such deal and has demanded Mengistu's immediate, unconditional release.